Need 2 for Seattle 2. My pals and I are flying in from Montreal for Seattle - nights 1 and 2. I have 2 GA tix for night 1 already (thank you pre-sale draw). Sitting here watching ticketmaster clocking for nearly 3 hours now isnt looking promising. If anyone can assist with 4 tickets together for the friday night, pre-drinks are on me! Need 1 to Boston 1. 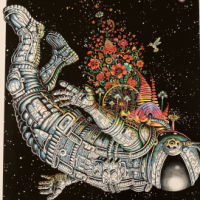 Buy or may have 1 Seattle GA for night 2 to offer for trade. Looking for 1 GA ticket for both Wrigley shows traveling from NY. Have 2 reserve extras for Wrigley night 2. Also Looking for 1 GA ticket for both Wrigley shows traveling from OR. Have 2 reserve extras for Wrigley night 2. I have one extra ticket for Seattle GA PIT night 1 (Aug 8) and I'm looking for trading it for a GA PIT for the 2nd show on Aug the 10th. Anyone??? ISO one GA for Seattle Night 1. Friend coming with me asked to bring his girlfriend. Please let me know if you have an extra. Thanks! Scratch that. They got their own tickets. I now have one GA for Seattle Night 1 8/8 available. Looking for 1 GA ticket for both Wrigley shows traveling from NY. Also, Have 2 reserve extras for Wrigley night 2. Looking for 2 Wrigley ga 8/18 to buy please if any ten clubbers have an extra to sell . Due to rules understand can't be same sale. Will buy asap as we r trying to bring kids with. Looking to swap my Wrigley night 2 GA for your Wrigley night 1 GA. Where's all the night 1 singles? Looking for 1 for Wrigley night 1, please, if someone has an extra to sell. Looking to trade my two Ticketmaster pre-sale tickets for Monday, 8/20 Wrigley in exchange for two tickets to Saturday, 8/20 show. Still looking for one 10C boston for night 9/2. Help! Need 1 or 2 N1 GA for Chicago. PM me please. I have an extra Seattle night one (10 Club) reserved available. I am looking to either trade or purchase Seattle Night 2 GA. I have extra Seattle Night 1 Reserved 10C ticket, looking to trade for Missoula. I have a spare 10C Reserved Seating ticket for Seattle Night 1. Im travelling over from the UK with my family, but wife and daughter have other plans that night. If your happy drinking beer, and sitting/standing with a Brit, then PM me if you are interested. My story, in September I was traveling with my family on the way to Yellowstone when I suffered a stroke and ended up at Missoula Providence St. Patrick Hospital where I received excellent care. My husband and daughter were with me and our trip was cut short. I received 2 GA tickets through the 10 club and would lover to have a great Missoula memory with my family to replace that one in September so I just need one GA ticket. Thanks Jamily!!! p.s. 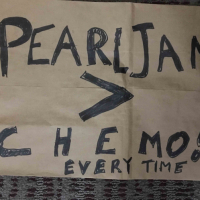 I'm recovering, still in therapy, did the women's march and I'm confident I can have a great GA experience 11 months after my stroke thanks to great support, family & Pearl Jam .